As we travel around the world, we often see children running on the roughest ground, through the dirtiest puddles and all without the protection of a pair of shoes. We are always shocked by this sight because wearing a pair of shoes is such an ordinary part of our daily routine and yet we rarely stop to contemplate what a privilege it is or even consider that for many children around the world, owning a pair of shoes is simply beyond their reach. Last year every child in our care experienced the excitement of receiving a brand new pair of shoes for their Christmas gift. The sounds of jubilation filled all of our projects from Burma to Colombia! But last year’s shoes are now worn out and a little too small for our kids’ growing feet, so this Christmas we would really appreciate you joining us to help purchase every child in our care a new pair of shoes. 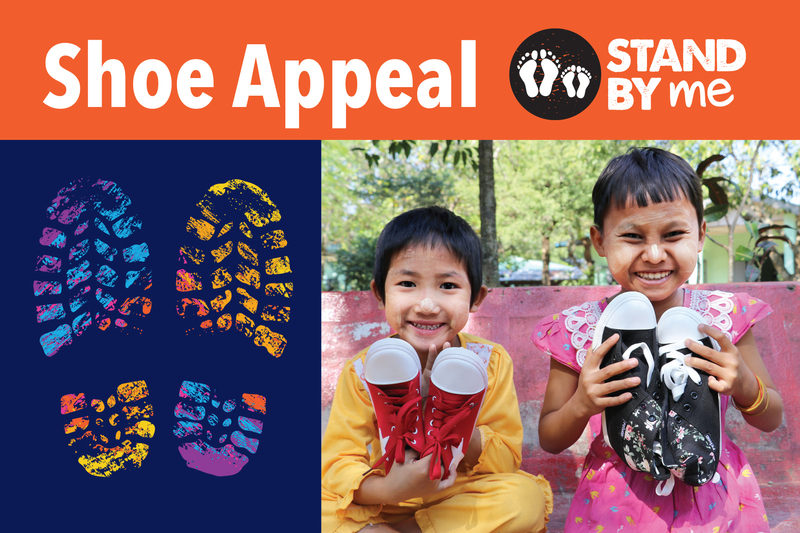 A donation of £8 can give a child a new pair of shoes and the dignity they deserve. With your support we can bring health and dignity to all of our children and make the coming year their best one yet. "Mum, mum, I can hear!" Looking after our kids’ health is vital to their wellbeing and happiness so we carry out regular health checks for our kids. A health team visited our Emmanuel Care Centre to give every child a health check.